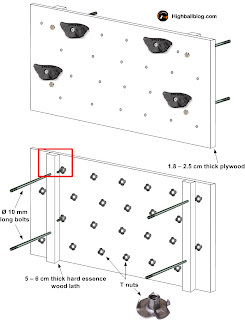 If you don't have the time ot the tools to build your DIY hangboard, have a look on Amazon for a selection of affordable climbing fingerboards. Click any of the pictures below. 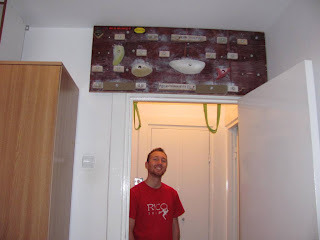 Update: Check out my latest DIY climbing hangboard video tutorial. 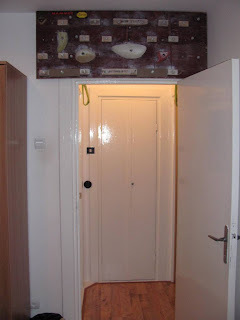 I preferred to build my own fingerboard versus buying one from a mountain shop. The main reason for this is I could customize it how I wanted in terms of dimensions and holds placement. 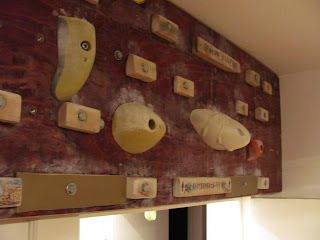 What you will get is basically a piece of an artificial climbing wall on which you can do all your training exercises: pull ups, shrugs, dead hangs, lock offs. 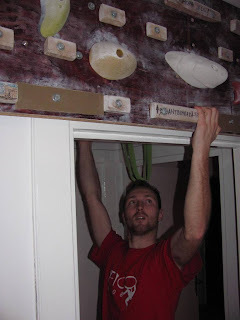 Whenever you get bored with your current holds arrangement you can easily change the configuration and thus you'll have a new board being motivated to try new workout sessions. 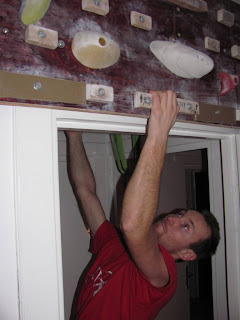 Try to have all types of holds on the board - crimpers, slopers, pinches, monos, two finger pockets, jugs, small ledges - so you can cover all types of exercises that will ultimately make you a stronger climber. If you don't want to buy too much resin holds, you can make your own out of wood or rocks. This worked just fine for me - I only bought a few slopers, the rest are made of wood and provide both great friction and friendliness to my fingers' skin. 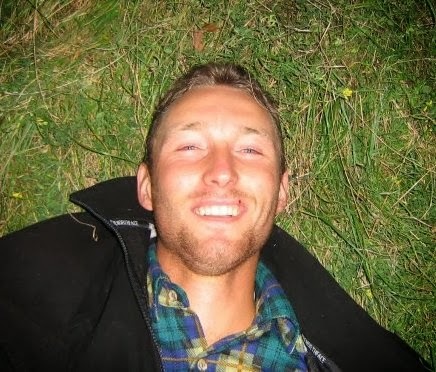 For more information about training for climbing please consult indoorclimbing.com - don't miss the links on nutrition and stretching in the right sidebar. 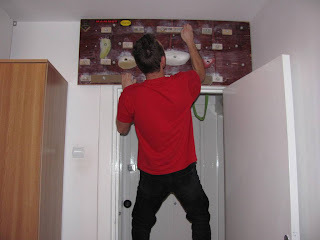 Also you may want to try some hangboard training sessions like this or this. 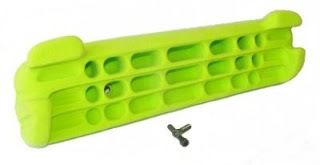 If you prefer a ready made fingerboard for working your forearms and fingers in order to improve your climbing capabilities then watch Metolius training board installation guide video. Be a good climber and if you can't be good then be strong. But remember that doing one arm pull ups won't make you champion. Don't forget to go climbing as well! 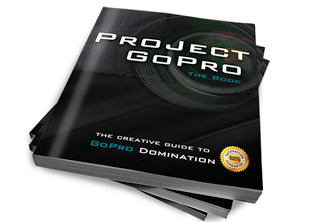 Great article... I'm tempted to do this now. You may develop a better design. 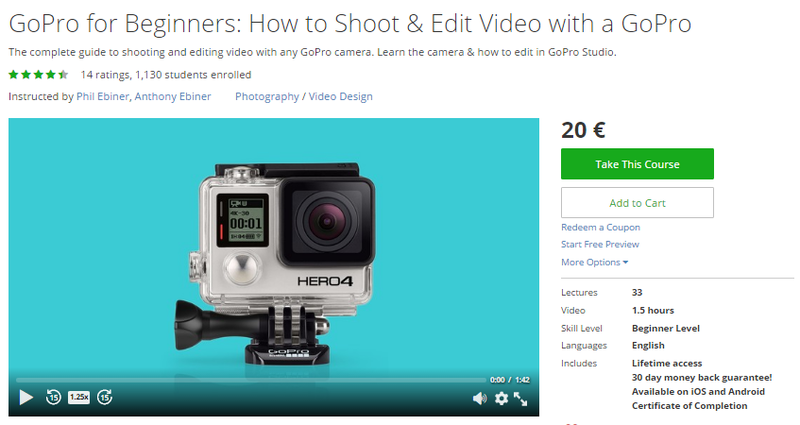 Shoot me some pics if you build it. I do know that ply is not that expensive, but if i could save some money why not. 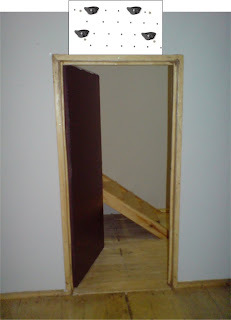 Yes you could use 12 mm plywood as well, if it's strong enough. To make it rigid make sure to have the back rails go across it's height and maybe one rail across its width. 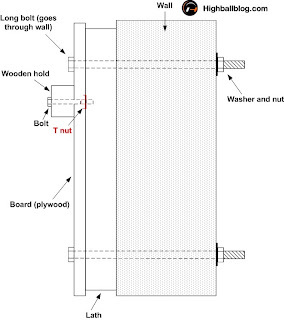 But there might be a issue with the T nuts: make sure the threaded inner tube of the nuts doesn't stick out of the board. 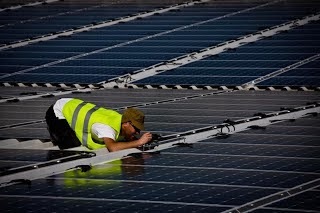 If the board it's too thin this may happen - that's why I recommended 18 mm to 20 or 25 mm thick ply. 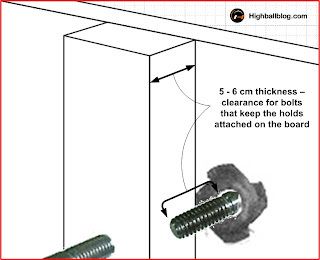 As you tighten the holds, the nuts buries even deeper in the board thus the inner tube getting closer to the face of the board - if it gets out of the board, it means your hold cannot be firmly tighten on the hagboard. Not sure if I explained well... Email me if you have other questions.